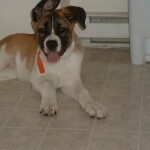 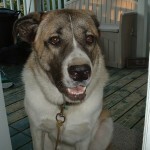 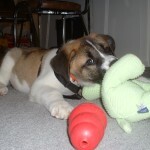 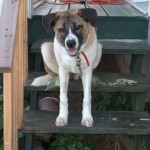 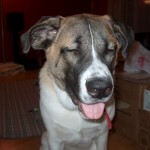 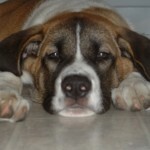 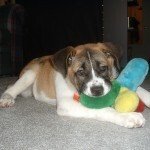 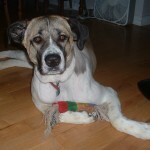 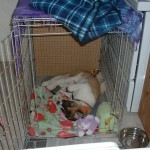 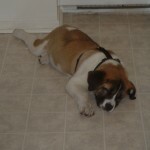 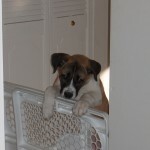 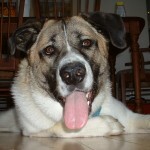 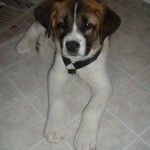 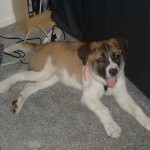 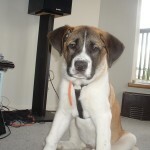 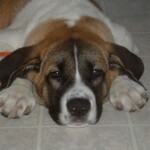 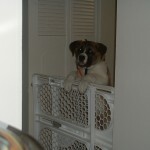 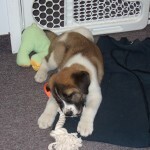 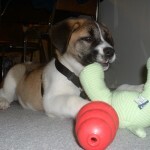 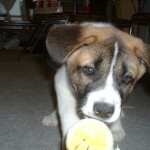 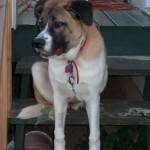 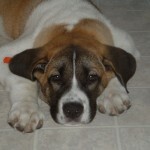 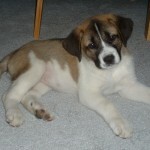 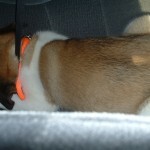 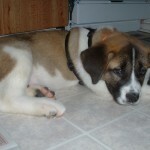 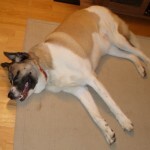 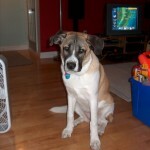 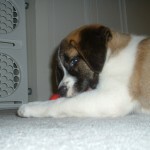 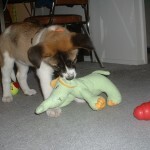 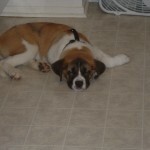 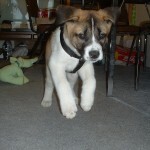 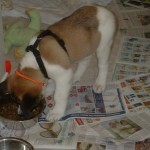 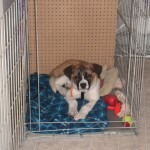 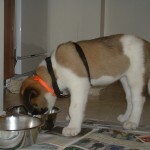 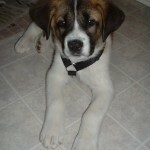 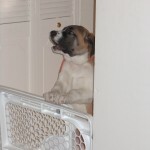 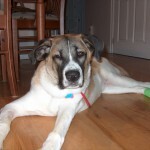 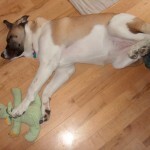 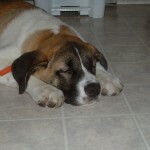 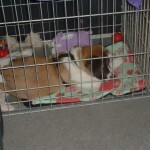 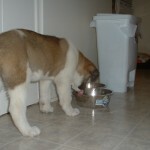 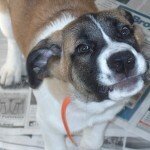 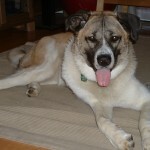 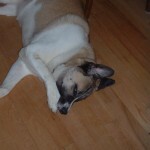 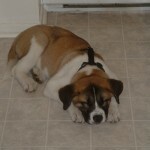 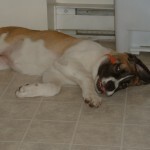 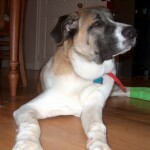 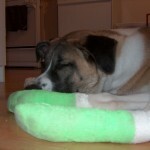 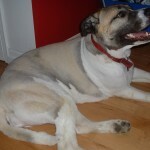 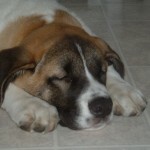 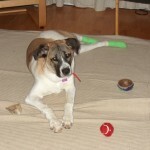 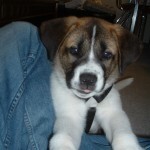 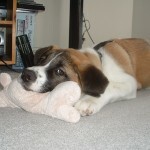 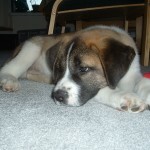 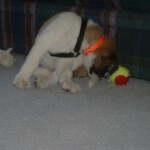 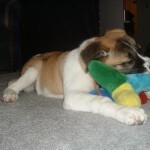 Here are pictures of Roxie our Saint Bernard/Labrador Mix breed dog. 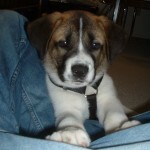 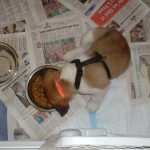 She just turned 4 years old on March 23, 2009 and it’s hard to believe she has been with us this long. 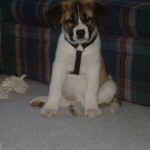 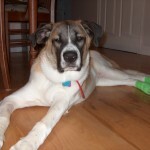 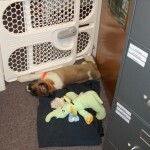 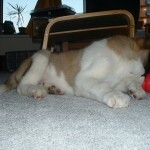 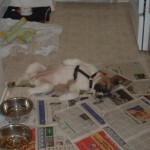 This entry was posted in Gallery and tagged Dog, Labrador, Labranard, pictures, Roxie, Saint Bernard on 2009/03/27 by Jeff Ivany. 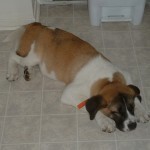 I also have a st bernard lab mix, Tiny lol. 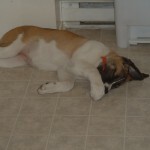 He is 15 months old, and a mommas boy. 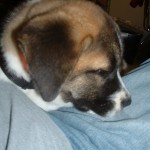 when me and my boyfriend go to bed he will squeeze in the middle place his paws on my back and push my boyfriend out of bed. 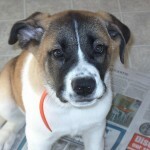 We are thinking of adopting a lab st b mix!! 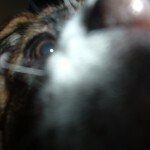 Any advice???? 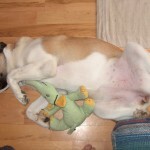 We have two children, we had a golden ret before! 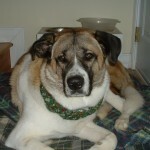 Your dog is bigger than mine is. 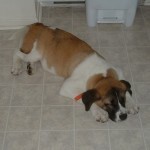 I am not sure what my St Bernard is mixed with but she looks exactly like a St Bernard just half the size. 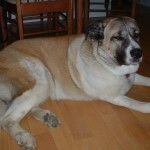 She is 2 years old and weighs in at 87 pounds. 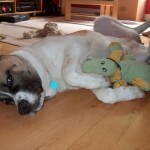 We adopted her from an animal shelter and she is great with a smallest kids 3 years old. 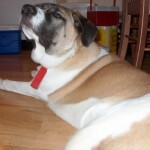 I have a 7 year old black lab/st.bernard mix, and her name is also Roxy! 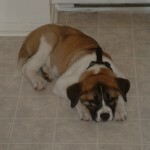 (but spelt differently) And she only weighs 44lbs! 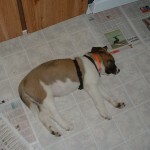 I think she gets her size from her mom, she’s an english lab :). 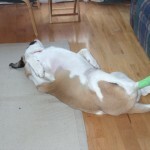 DOING BETTER. 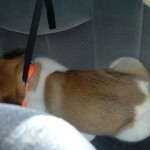 THEY LOVE TO GO!